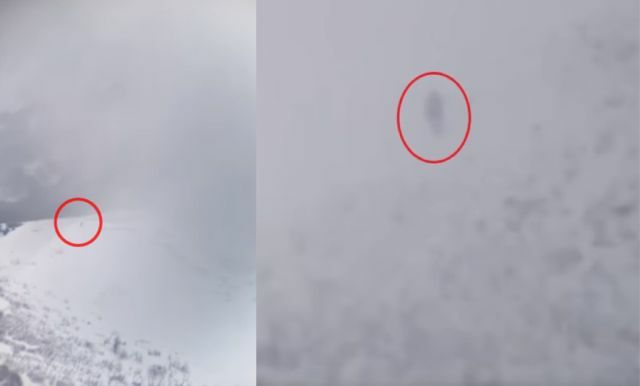 When Tanner Hargis on March 23, 2019 was in his backyard observing a nearby location known as Lone, he spotted a creature making its way up to the snowy mountainside. Hargis was able to capture some of the scene on video and subsequently sent the footage to a research group known as the Rocky Mountain Sasquatch Organization. According to Hargis, the creature was located a 8,600 feet above sea level, and by estimate, it appeared to be around eight feet tall and he could see the arms of the creature hanging by its side and they seemed to reach down to its knees. By virtue of the location in which the oddity was spotted, it seems unlikely that it was a person hiking on the mountain, since the conditions at the time looked to be particularly perilous. The Rocky Mountain Sasquatch Organization was on the scene 3 hours after the creature was filmed, scanning the the peaks and ridges trying to track down the elusive giant ,which is supposed to be a Bigfoot, recalling the history of Bigfoot sightings in this area of Utah.